Cleveland Indians pitching coach Mickey Callaway watches with manager Terry Francona against the Detroit Tigers in the first inning of a baseball game in Detroit. NEW YORK -- It appears the New York Mets have settled on their choice for a manager. 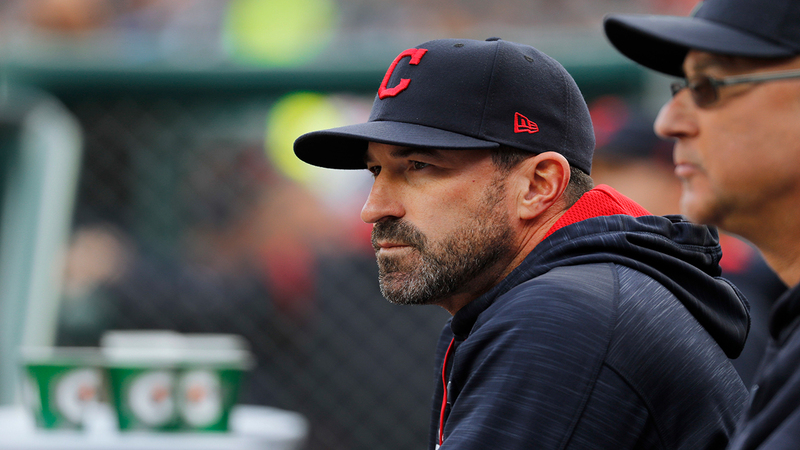 Several media outlets are reporting the team has offered the job to Cleveland Indians pitching coach Mickey Callaway. The New York Post was the first to report the Mets were in talks with Callaway, saying a deal is being finalized. When contacted Sunday, multiple Mets officials declined to comment. With his contract set to expire, Terry Collins stepped down at the end of the season after seven years as Mets manager and accepted a position as a special assistant to general manager Sandy Alderson. The 42-year-old Callaway has been Cleveland's pitching coach for the past five seasons under highly successful manager Terry Francona. Led by ace right-hander Corey Kluber, the Indians led the major leagues with a 3.30 ERA this season, one year after reaching the World Series. Callaway has never managed at any professional level.